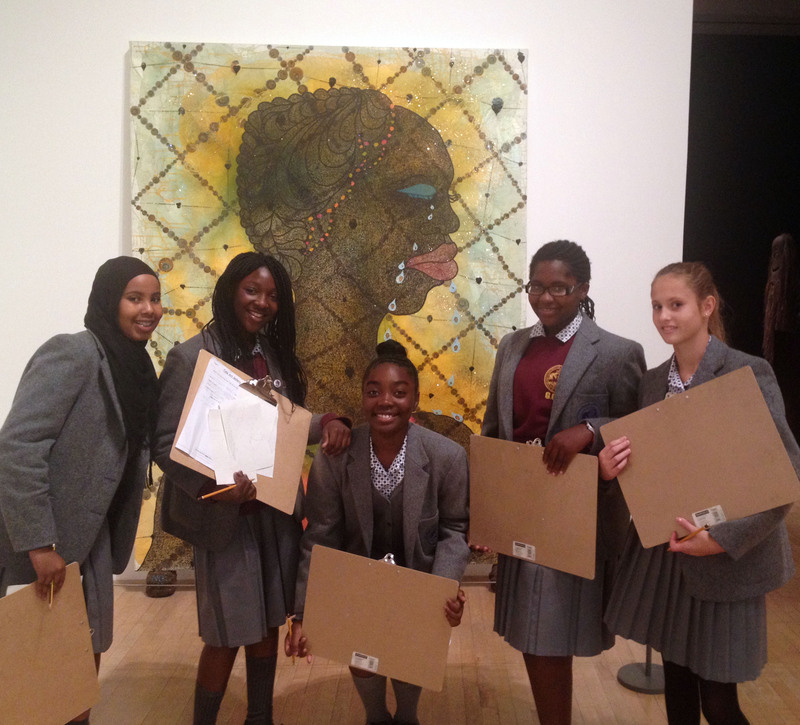 This term Year 7 students have been visiting the Tate Britain gallery as part of their Artist project. We are lucky enough to be able to walk to and from the gallery during the lessons! In the photograph members of 7G are standing in front of Chris Offili’s painting ‘No Woman, No Cry’. This was painted as a tribute to the London teenager Stephen Lawrence. It was especially important to see this work as Doreen Lawrence, Stephen’s mother came to Grey Coat earlier this term to give a talk on our school theme day.